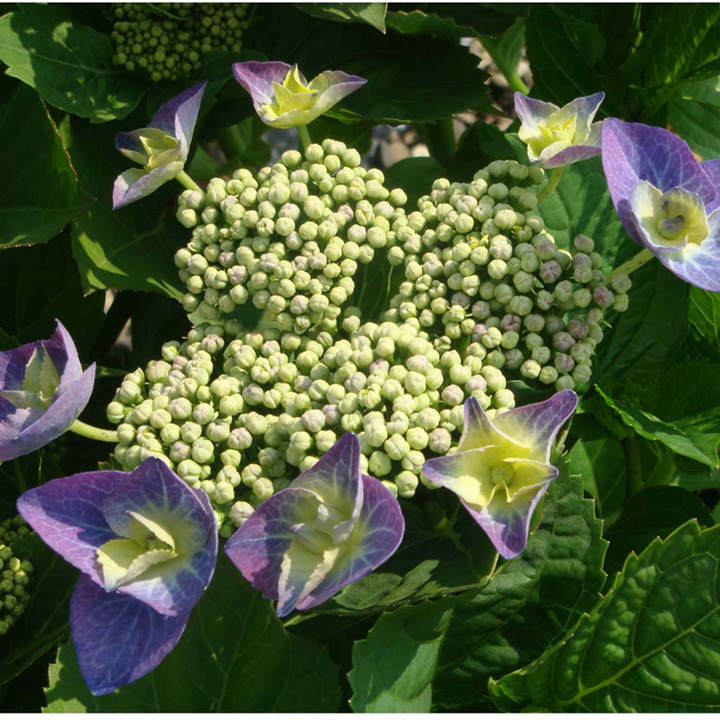 Hydrangea macrophylla 'Blaumeise' (sometimes called 'Teller Blue') is considered by many to be one of the best blue hydrangeas, producing profuse large lacecap flowerheads from mid summer to autumn, provided it is grown on acid soil. 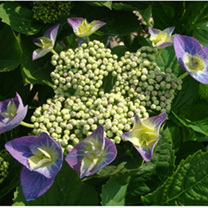 On neutral or alkaline soils the flowers will take on a lilac or pink colour. A dense, compact shrub, it grows well in sun or partial shade in a moist, well drained soil. Flowers July-September. Height 100-150cm. Supplied in a 3 litre pot.